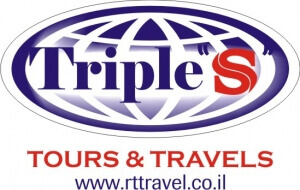 דף הבית | מארגן תיירות | טריפל "S"
RT&T Incioming -Triple “S” Tours is based in Rehovot, the city of Science with its world’s famous Weizmann Institute and is one of the fastest growing inbound tour companies in Israel. With over 25 years knowledge we are experienced in handling prestigious clients. Our excellent services are very well known while handling FIT, Groups, Agricultural visits, MICE and special interest Tours. From budget to luxury and from leisure to adventure, with our company you are getting all services from one source.